A very recommended thing to do in Bangkok, Siam Niramit. 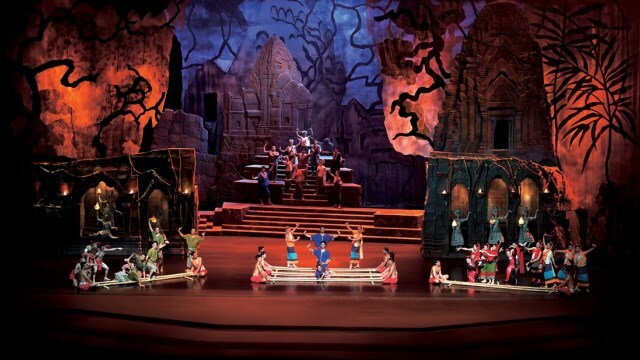 Join an audience of 2,000 for a wildly spectacular show on Thailand's history and culture. Learn about the local Thai religious customs and practices in an entertaining way. 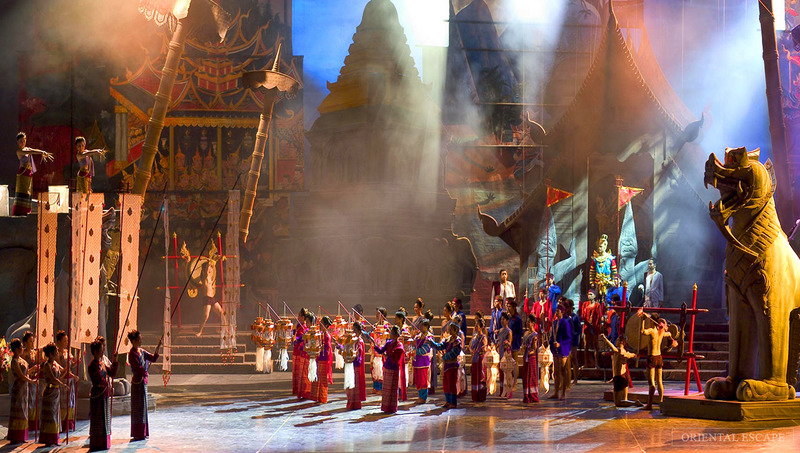 Enjoy a legion of 150 dancers and musicians performing in one of the largest shows in the world. 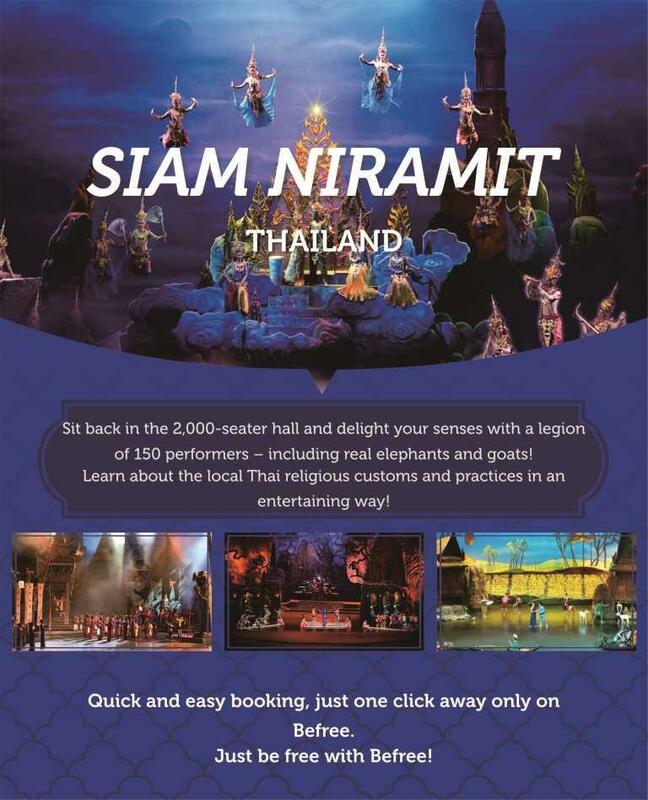 Get your Siam Niramit tickets online for the most interesting and affordable Siam Niramit show Bangkok ticket price. Pre-show entertainment: 7:00 pm-7:30 pm. Theatre doors open at 7:30 pm. The show starts at 8:00 pm (duration: 80 mins without intermission). Child ticket: height between 90~140 cm. Dress code: Casual (You may want to bring a sweater for the air-conditioning theatre. You can enter the attraction directly with this voucher. Address: 19 Tiamruammit Road, Huay Kwang, Bangkok 10320. To walk from the MRT, please use the footbridges to cross the busy Ratchada intersection. Please allow 10-20 minutes walking time. Siam Niramit runs a free shuttle bus from Thailand Cultural Centre MRT Station, Exit 1. Pickups begin at 5:15pm, at roughly 15mins intervals. Drop-offs resume at the end of the show. First-come, first-served. 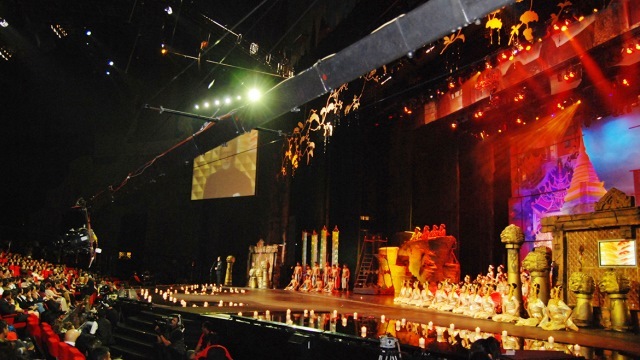 Sit back in the 2,000-seater hall and delight your senses with a legion of 150 performers including real elephants and goats!. 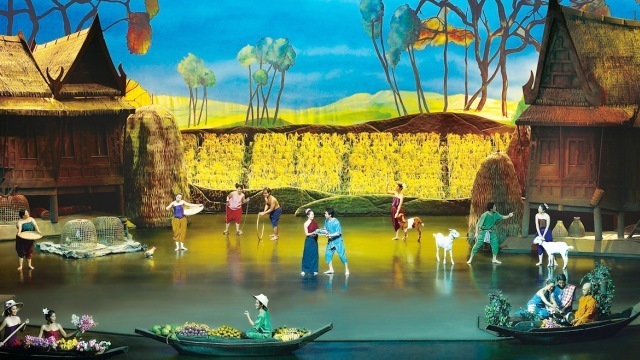 Flying dancers, meticulously designed backdrops, and heart-thumping sound scores all tell the story of Siam and its colorful heritage. Hark back to ancient times, with the city as a crossroad for civilizations. Glimpse Buddhist and Muslim customs, performed in a harmonious ceremony. Partake in village celebrations and daily peasant life, and learn about the shared belief in karma, as well as mystical netherworlds Hell and Himpaan, a forest between heaven and earth. 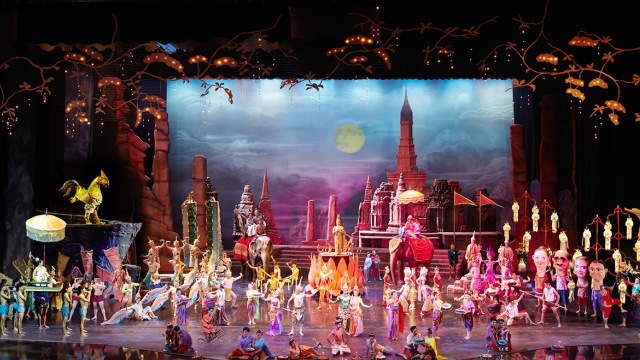 With riveting Thai dances and charming folk music set to spectacular effects, you're in for a wildly entertaining show, that takes you into the heart and mind of Thailand. It surely is a recommended thing to do in Bangkok. 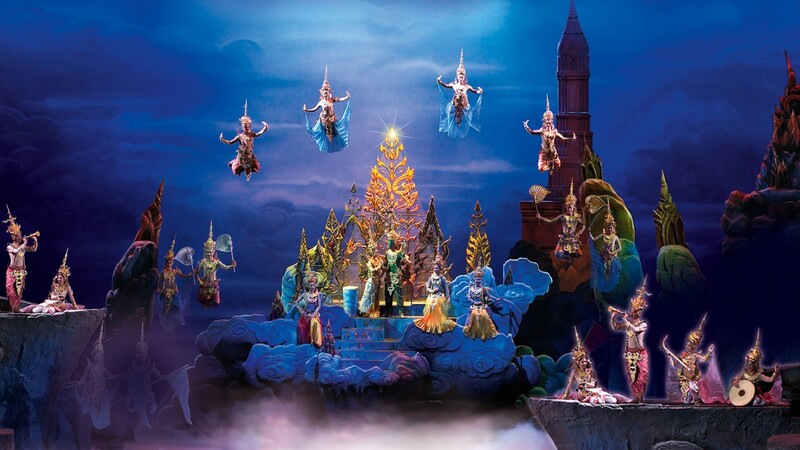 Get your Siam Niramit show Bangkok booking now and enjoy the most spectacular show in Bangkok. Besides Siam Niramit, Bangkok still has one more awesome show, enjoy watching Calypso Cabaret for the awesome show. Q : Whether E-voucher needs to be redeemed with tickets ? Rasanya seperti menonton film Thailand secara langsung tapi ini lebih kental akan unsur budaya dan sejarah. bagus dan terasa unik. tidak salah pilih saya pesan tiket di sini. trims..
Pertunjukannya sangat keren dan spektakuler, gak nyesel deh datang ke sini.! Beli tiket di Befree juga mudah dan gak perlu ribet, Thanks befree...! Wonderful show. Showed beautiful story of Siam. It was a very energetic show. I would recommend this show as a must see. It was amazing show! Buying tickets from Befree Tour made everything easier and fast. Thanks befree.